It’s springtime, which in my part of the world means pollen, azaleas, flip-flops, and little league baseball. I never grew up in the world of little league and rec-department sports, so the past three years that my daughter has been playing teeball have felt like an extended cultural study. I’ve gotten to see how other kids and other families were spending their evenings when I was at piano lessons and 4-H meetings as a kid. 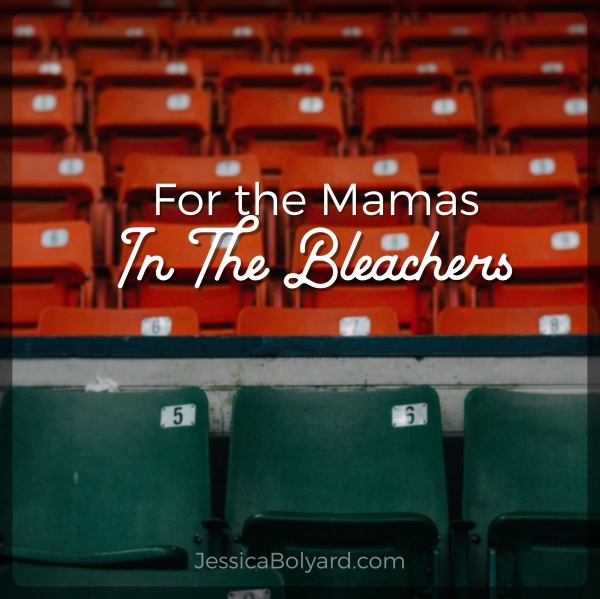 I’ve gotten to see the stereotypical characters found at any ballpark: the tiny kids swallowed by their enormous jerseys playing in the dirt in the infield, the overzealous parents who want the best for their kids but alienate everyone else in the process, the stroller-pushing moms wearing the “Teeball Mama” T-shirts scooting between fields to watch three games at once. It’s all interesting and new and wonderful, and springtime just wouldn’t feel right if we didn’t spend several nights a week at the ballpark. In the beginning, though, I felt like a nonessential part of the process. My husband helped on the field while I sat in the bleachers. A former ballplayer himself, he knew how to help her and coach her, and would even work with her at home. It was their thing they shared, and while I was glad for that connection between them, I felt unimportant. I felt like my role in the process was over once I fed her, got her into her uniform, pulled her hair into a ponytail, and ushered her into the dugout. I got her there, and then I kind of figured my job was done. I would collapse onto the bleachers with a sigh. Phew. Before too long, though, I realized that my role in the bleachers is a lot more important than it seems. The first season she played, one of the most endearing things I noticed was how the smallest of the small players reacted after they did anything on the field. After throwing/catching/hitting/missing a ball, they would all immediately spin around, their eyes scanning the crowd of parents lining the fence. Finding their parents’ smiling faces, they would smile back, eyebrows raised, and nod questioningly. They never spoke a word, but I always heard what they were saying. It was absolutely precious to watch, and it was during that first season of beginners’ teeball that I started the tradition of giving my daughter a thumbs-up when she looked to me for a reaction. She hit a ball? Thumbs up. She almost caught a ball? Thumbs up. She threw the ball in the vague direction she meant to? Thumbs up. As she’s gotten a little older and taller and more confident, those quick over-the-shoulder looks don’t happen quite as often. She’s more comfortable in what she’s doing; she’ll be moving up to “big girls'” softball next season, and she’s more than ready. Her hitting and catching and fielding are incredible. (They’re incredible to me, anyway. Remember, I was more the bookish child, and she gets none of her athletic prowess from her mama.) She sometimes makes a fantastic play – getting someone out at third base or beelining a throw to the first baseman – and I sit on the edge of my seat waiting for her to look at me. I’m so proud…so excited…so eager to tell her how well she is doing. Sometimes, in the excitement of the moment and the celebration with her coach and teammates, she doesn’t look into the bleachers for her thumbs-up. I can’t lie. That’s hard for me. 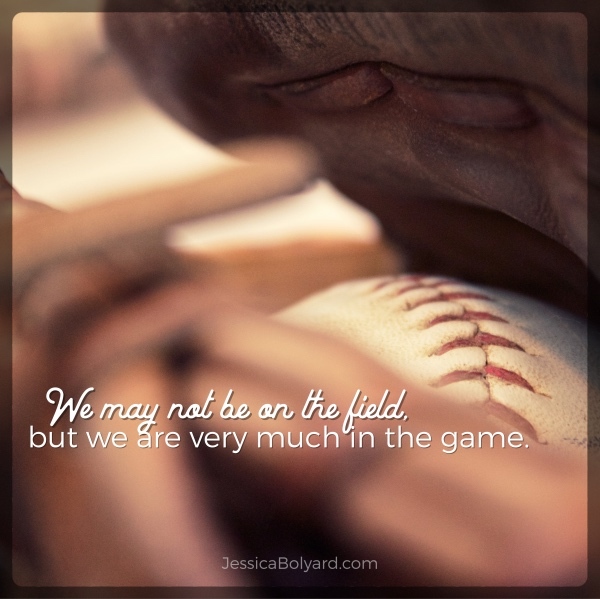 But sometimes….sometimes….her eyes scan the stands, a shy, satisfied smirk peeking out from under her ball cap. She looks at me, eyebrows raised, and gives me that same little nod. And I am always there waiting, thumbs up. I see you. You’re doing great. You’re awesome. I’m so proud of you. So I think I have an important job in the process, after all. I may be sitting in the bleachers, but I’m in the game. I don’t know all the fundamental rules of baseball. I can’t coach her on the finer points of her throwing technique or batting stance. 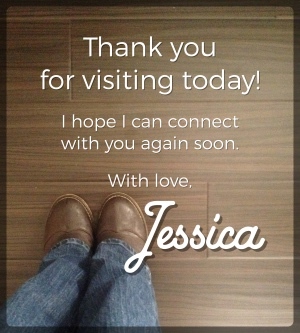 I am inexperienced in helping her navigate team dynamics and the pain of loss. Beyond reminding her to keep her eye on the ball, there isn’t much I can tell her. But there is one thing I know: my daughter. And there is one thing I can do: I can give her what she needs. I never want there to be a time when she looks to the stands, uncertain and needing affirmation, and doesn’t find my face smiling and my thumbs raised. 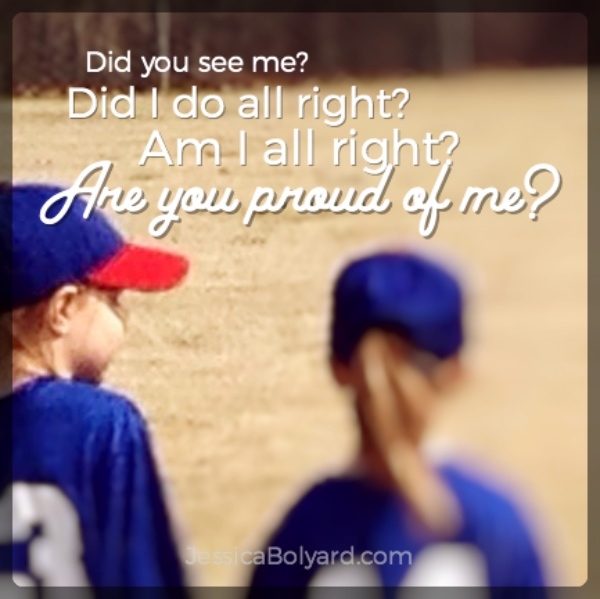 Because to me, it’s about more than just encouraging her to grow in her teeball skills. It’s about a much bigger game, with much more at stake than a winning record and bragging rights. This game of life will throw many, many curve balls at my little girl. Sometimes she’ll be prepared and will know what to do. She may sail right through those times without needing to check with me for reassurance. But there will also be those times when she will be caught off guard. She won’t have anticipated what is coming and may not know how to handle it. She may be uncertain if she said the right thing or did the right thing or handled it the way she should have. And in those times, she may look to me. It may take more than a turn and a look into the bleachers. She may have to emerge from her teenage cave room and venture to where I’m sitting on the couch. She may have to ask me into her room at bedtime for a chat once the lights are out and she feels a little more secure. She may have to pick up the phone and call or text me. But when she does, I want her to know that I’m there. I want her to receive the message she needs. I may not always agree with her decisions and things in her world won’t always be as simple as they are now, but whatever situation she’s in, I want her to know that mama is there. There’s ultimately more that I want her to learn from her time in little league sports than just how to play a game and how to work as a team. I want her to learn confidence in herself and in her ability to do hard things, and I want her to learn that even when things are really hard, I believe in her. I want her to know I’m there. I can’t be on the field. I can’t be in the middle of every situation. I can’t always do things for her, but I can be the smiling face watching on from the sidelines, my thumbs up. And I am so proud of you. as a mama of three girls (a former soccer mom – glad it’s former – haha!) i loved this post. they are 27, 24, and 20 and i cheer them on daily from home – texting, facetiming to Spain (the middle is an aupair there this year) and it’s a blast and a privilege. you’ve caught the vision which will hold them and you all the years ahead. my role was the reputation for cheering loudly and hosting pasta feeds the night before a big match. i do miss those a bit – (: and a joy to host all those parents and their kids all those many many years. Thank you so much, Sue. It’s my hope and dream that one day, my girl will allow me to continue cheering her on as you do for yours. Also? An aupair in Spain?! How fantastic! I studied in Spain my junior year of college – she is going to come home with so many incredible experiences under her belt!